UPDATE… My wife and I ended up buying one of these parcels on our own… and placing an easement for the Anza trail over it… which we gave to the SLO county Land Conservancy. 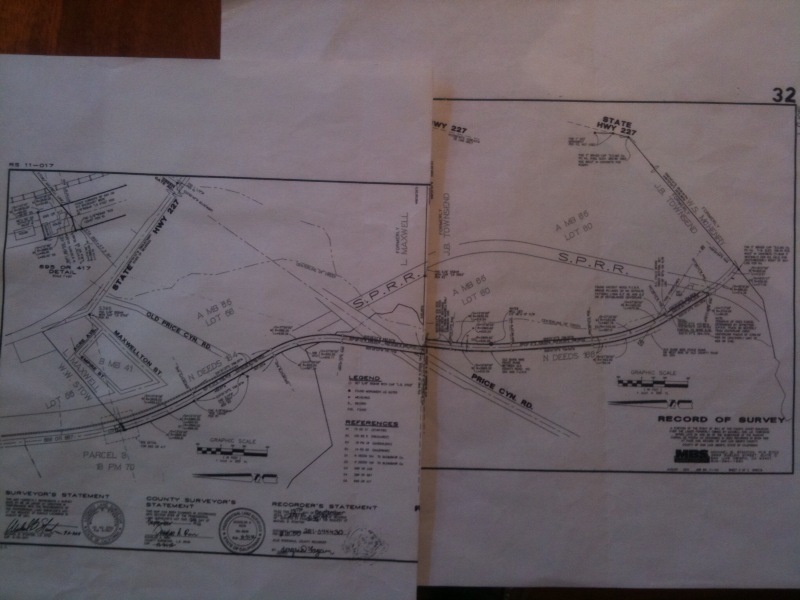 We then resold the parcel with the easement over it at our cost to a neighboring landowner late in 2012. So the following post is sort of a non issue. Feel free to ignore it as no money from the county needed to be spent… we got the trail right of way effectively for free. Today the San Luis Obispo County supervisors voted 4-1 (Supervisor Mechum opposed) to allocate funds for appraisals, title searches, phase 1 environmental assessments, and other data related to the possibility of purchasing the bike path parcels in Edna along the Juan Batista de Anza Trail route. This is great news. HOWEVER… they also stated that they would only pay a minority share of the cost of these parcels rather than the full amount as recommended by the Parks Commission. So this means that parties interested in seeing this bike path come to fruition… like me… will need to fundraise to the tune of approx 225k. (a bit more than half of the property cost.) They have the right to do this… times are tough at the county… so I understand… but I don’t have to be happy about it. So we have our work to do… and the various advocacy groups are proceeding now with the options available for obtaining the funds we didn’t know we were going to have to raise until today. We have approx 4 months to do it so it will be a real push. I guess I should try and remember… this is California… soon the state will be telling drivers that if they want roads without potholes… then get some asphalt and a shovel and go fix them yourself. We somehow seem to have plenty of state funds around for more prisons though… end of rant. NOTE—The July 24th Board of Supervisors meeting on the De Anza trail has been Cancelled! A letter of support from the City of Arroyo Grande is on their Consent agenda for their June Meeting… and I am on the Agenda of the June Pismo Beach City Council in the hopes of getting a letter of Consent from them as well. A Class One Bike Path between San Luis Obispo and Pismo Beach through Edna Valley and Price Canyon… and from San Miguel to Santa Margarita! Show up at the SLO County Parks Commission meeting at 1055 Monterey (county administration building) at 6 PM… on Thursday April 26. Tell the Commission to recommend that the County Board of Supervisors use funds from the “Public Facilities Fund-Parks” to buy these old railroad rights of way. Doing this will GREATLY simplify the eventual building of the portion of the De Anza multi use trail between SLO and Pismo and probably save decades of work. For the time being… I am focussing on current opportunities in Edna… and thus the section between SLO an Pismo. The County already has as their number one priority plan… the route between Santa Margarita and SLO and between Templeton and Atascadero… (click link). As a second priority is the SLO to Pismo section. We need to get them to stop planning and start the project. They have been planning connections between our cities for 33 years… it’s time to make it happen! 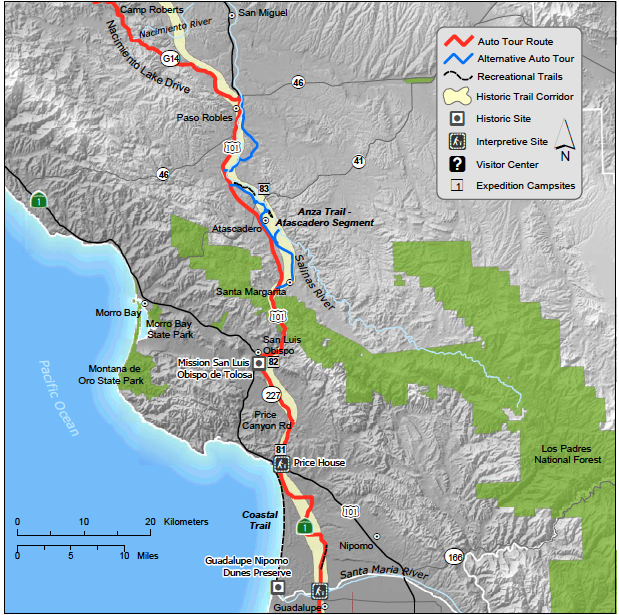 It is entirely possible to create the class I (separated from any road) bike path and or equestrian trail from San Luis Obispo (SLO) out through Edna Valley, and down Price Canyon to Pismo Beach. Indeed most of the way has decent class II (on side of road) now. There is a huge difference between users for Class I and Class II however. 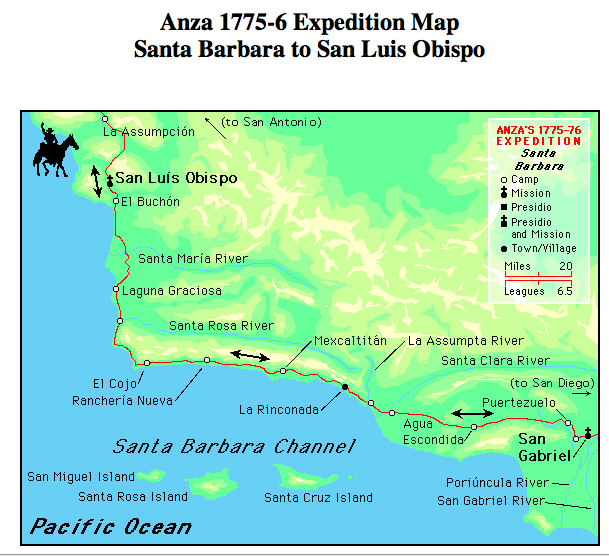 This route was the path that Juan Batista De Anza took back in the 1770’s when he walked up through California from mission to mission. The “de Anza” trail is EXACTLY over this path as a matter of fact. The de Anza trail is a National Parks trail that goes from San Francisco through California and through Arizona. SLO county is working on plans for this trail from San Miguel down to Pismo. But they so far are basically just plans. Friday, March 1. — With fog and cold wind, at a quarter to eight in the morning we moved our train and set forth on the march to the northeast, with some turns to the north, in which direction we traveled about three leagues until we came to the village of the Laguna Larga . From here we continued in the last-named direction for two more leagues, at the end of which we turned toward the northwest or west-northwest, and likewise to the west, for about two and a half leagues, when we came to the shore of the sea. Turning again to the north, we traveled about a league and a half more, at the end of which we arrived at a quarter past five at the village of El Buchón , having traveled nine leagues in nine and a half hours. Here we halted for the night. 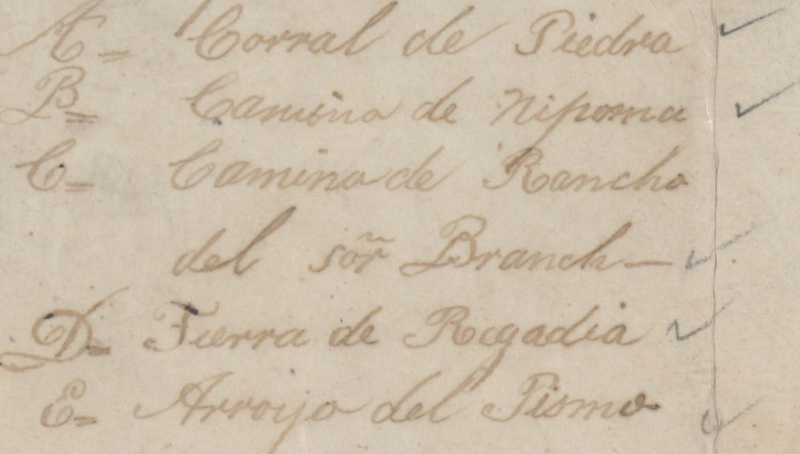 — From Tubac to the Ranchería del Buchón , 268 1/2 leagues . Saturday, March 2. — We raised our camp and set forth on the march. After going northeast for a league we turned to the north for another league, and then gradually descended toward the northwest for still another league, when we arrived at the mission of San Luís just as it was striking half past eleven , having traveled three and a half hours. Although it is more than a month since it has rained in this region, today many mires were encountered, one being so dangerous that it was necessary to carry over all the packloads on the shoulders of the men, most of the people going on foot. Some of them, who wished to avoid wetting their feet, and hoping that the mounts would bring them out safely, paid well for it by getting much wetter. This greater disaster fell especially on our colonistsand those who had most primped up to enter the pueblo . The welcome which they gave us corresponded to their pleasure, and was such as may be imagined with people who spend all the days of their years without seeing any other faces than the twelve or thirteen to which most of these establishments are reduced, including the missionaries and the guard. And, aside from their long and painful exile from the world , as they say, we found them agitated by the event that happened at San Diego , thinking that after the first uprising another and worse one might have taken place, as the rebels threatened; and what is more, by the understanding that I had appeared with my expedition on the Colorado River , as the same rebels reported, just at the time of their rebellion, as was very easy for our people, induced by their own fear, to believe. But having seen me, all melancholy and sadness disappeared , and they have turned to giving thanks to divine providence and to the present efficient government , that in such a timely manner this aid in the way of troops should have come to them. 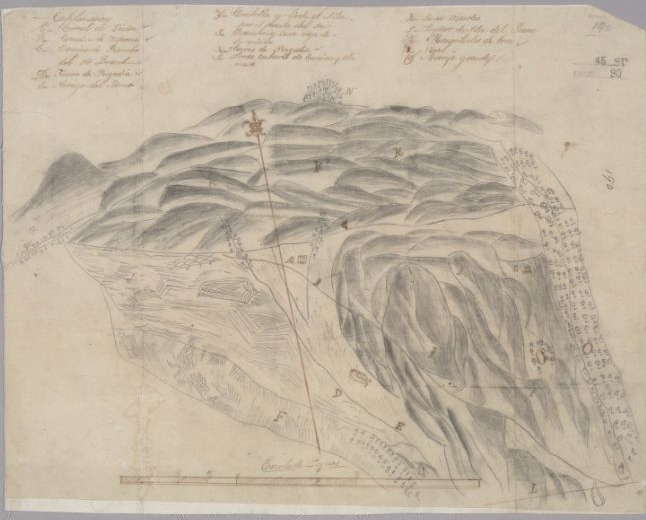 — FromTubac to the mission of San Luís , 271 1/2 leagues . 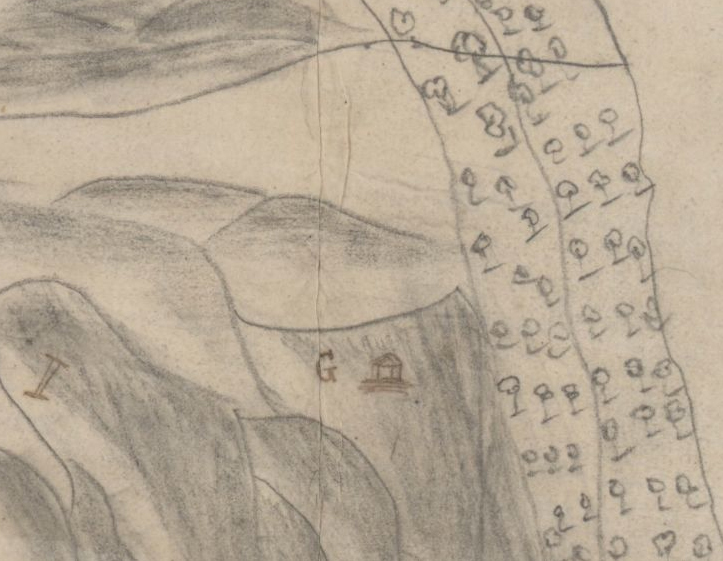 IF YOU WANT TO READ MORE OF de ANZA’S DIARY click the text blocks above. El Buchon… mentioned in De Anza’s diary… is the village where the indian chief Buchon lived… somewhere around current day Pismo. Buchon is the street I live on by the way. Chief Buchon was so named by the Soldiers… because he had a “Buchon” on his neck (big Goiter or growth). So I guess I live on Goiter street… cough. Point Buchon is where the Port San Luis Light house is… west of Avila Beach. A trail in this exact area is also already on the 300 page San Luis Obispo County “Edna Los Ranchos Specific Plan” from 25 years ago. It is the dotted line on this exhibit from that specific plan that continues EXACTLY over the same route as the de Anza route and coincides with parcels of land that are for sale right now! Here is the text from that specific plan describing how that specific plan relates to the 1979 transportation plan…and bikepaths, trails etc…. this bikeways element was written 33 years ago! Had we started actually doing something then… we would be DONE NOW! So a path through this area has been on our county plan for 33 years… but not really that much has ever happened. I am all for planning… but if nothing ever happens… what is the point? When do we start actually realizing the plan? I highlight this particular text above because in 3.12 it states specifically that any acquisition of fee (any land the county buys) needs to be from a “willing seller or donor”… just exactly how often does a willing seller pop up with over a mile of right of way in an existing trail corridor for cheap? that is what we have now if we can act upon this opportunity. 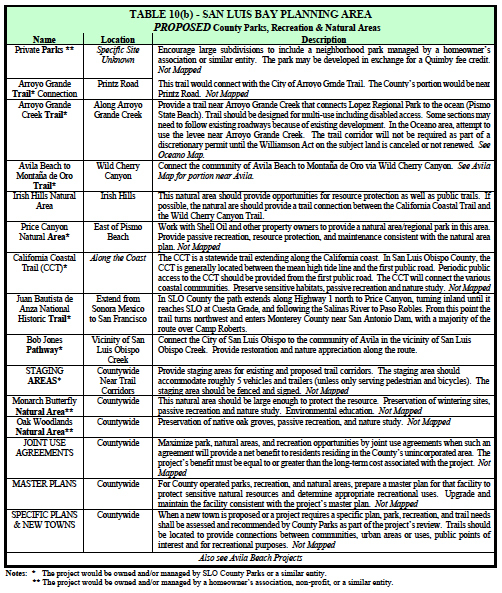 Also check out Table 10-B on Page 91 of the County Parks and Recreation Element “Parks and Recreation Project list” This list clearly shows that the de Anza trail between SLO and Pismo is already on our County parks project agenda. This project list also clearly states that the County Parks Dept. should work with the Oil Company and other owners on developing an undefined: “Price Canyon Natural Area”. I should also explain that there are many many other policies etc… all which can be used as findings to give grounds for doing absolutely nothing. Most of these revolve around making sure that the county has funds for ongoing maintenance, or funds to acquire the land. ANYWAY… it can be argued either way whether to acquire new parcels or build new trails based on the Park and Recreation element language… AND THAT MY FRIENDS… is why you don’t see any new parks without an ENORMOUS amount of public outcry and effort. There are no county parks within 8 miles of this proposed bike path. So if any of the immediate 2000 residents in this neighborhood want to use any county park infrastructure… they have to drive in their car over to Biddle Park out by Lake Lopez, to cuesta Park at the north end of San Luis Obispo or over to the Bob Jones trail in avila valley. To the north and south of this path… the cities of San Luis Obispo, Pismo Beach, Arroyo Grande, Grover Beach, and Oceano will all have bike infrastructure that immediately connect. There are more than 95,000 San Luis Obispo county residents that live within 5 miles of this overall route. Two weeks ago a foreclosure property came up along the route I have been researching. It is part of the old narrow guage railway known as the Pacific Coast Railway. It’s shape is 60′ by 800′ approx. 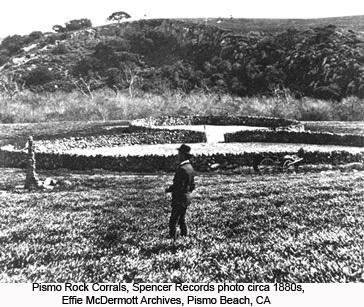 This railway started before the Southern Pacific (SPRR)came to town (now the Union Pacific Railroad (UPRR)). It has a scrappy old house on it that needs to be torn down. I don’t speak lightly of tearing things down… as I primarily spend my time restoring houses. Usually using recycled old house parts in my projects. This particular house is pretty bad though… it is very odd and short even if restored… ie not worth it. What is interesting is that underneath all the exterior plaster… slider windows etc… are two 100 year old narrow gauge railroad boxcars. YES… the house was originally built from railroad boxcars side by side!… probably a very long time ago…say the 1940’s when the railroad track was sold for the war effort during WWII. Probably one of the earliest forms of “container housing” on the planet… maybe the first true “container” house. I doubt this is of much interest though except to architects and people that live in Santa Monica or Amsterdam. 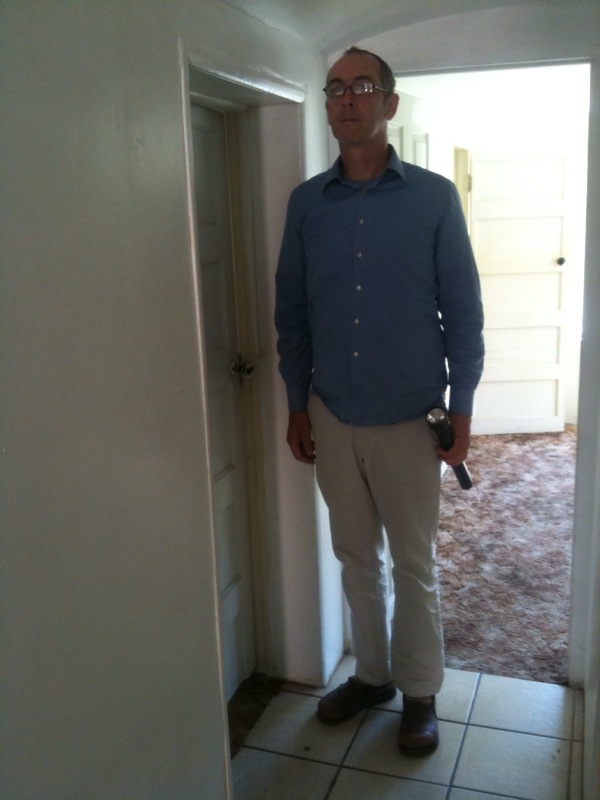 As you can see above… the ceiling is about 6’6″ off the floor (I’m 6’1″)… and is curved in each room. The doors between the rooms are at least 100 years old so were probably salvaged even in the 1940’s… and they are 5’5″ tall skinny little exterior latched 5 panel doors so that you have to duck under the top of the doorways if you are more than 5’5″ tall. When I climbed into the attic I could plainly see the two boxcars…their roofs still in place under the new trussed roof built over the two side by side cars so the house would look normal from the exterior… with a pitched roof. The condition of the place is truly awful… sagging floors, rotten everywhere… not worth saving as house…. but saving the two boxcars is a fun idea… and getting them to the San Luis Obispo Railroad museum would be a fun project for a lot of Railroad enthusiasts I think. They are the bold outline long skinny parcels in the middle of these two records of survey. See how they go right through Price Canyon Road… and between the SPRR (now UPRR) and Corral De Piedra Road. 227 is in the upper left. The foreclosure parcel is just to the left of these parcels… same skinny shape… it would basically be the continuation of this skinny bold area off to the left. Sure looks like a trail to me… and together this is over a mile long. (we wouldn’t cross over the UPRR tracks at the right… the trail would stay to the north of these and Pismo Creek… So no bridges would be needed. We would need a box culvert (big square concrete prefab pipe)here to tunnel under Price Canyon road. But Price Canyon Road is quite high here… built on a lot of fill so that it can cross up over the UPRR.) After crossing Price Canyon road… these parcels continue along the “old price canyon road” that isn’t used any more. Surrounding this parcel is PXP oil land. The big colorful graphic I built (three images ago) gives the entire overview in a single page if you click the link. Takes a bit to absorb it… but basically there are only 6 private owners between San Luis Obispo Country Club and Pismo. Of these… two are attempting to sell their various parcels. All of these parcels are along the overall route of the old narrow guage RR just to the west of the UPRR. I will say it this way to clarify… 33.3% of the owners of a trail route between SLO country Club and Pismo are wanting to sell! PXP Oil is contiguous and south of the parcels for sale. Getting through them is another matter altogether. But PXP is currently paying for mitigation for all the various pollution and other misc that it does to the environment. This mitigation takes the form of “in lieu fees”. This money goes toward off site positive things that the San Luis Obispo County Air Pollution Control District (APCD) deems counter to the negative impacts being done at the PXP facility. These fees are collected by the APCD. Sometime in the past I have been told… either PXP or one of it’s predecessors gave an easement through the PXP property as a mitigation for some earlier event… or perhaps in exchange for some building project or drilling right. I don’t know. I have heard a rumour that this easement exists… but it is “undescribed”, meaning that there is no actual route planned yet. This easement will not occur until the facility stops working in it’s current capacity…. ie no path until the place closes. However… I am thinking (and yes this may be a stretch.. but I am a half full type) that we may be able to trade some of those massive offsite “in lieu fees” for a speeding up of the design and placement of that path across PXP.. so long as it can be designed to not greatly interfere with the oil production facility. Call me an optimist. This path would be North west of Pismo creek until Oramonde Road. At Oramonde… it would turn south across the existing bridge over Pismo Creek… before then turning west again before the UPRR. Below PXP is an area near the big curve of Price Canyon known as Spanish Springs. A trail easement 25′ wide exists here that connects up to this route I have been describing. This easement has an at grade crossing of the UPRR… but at this point the UPRR is built up on a berm so I think the bike path should just go under the tracks via a box culvert (big square concrete prefab pipe). 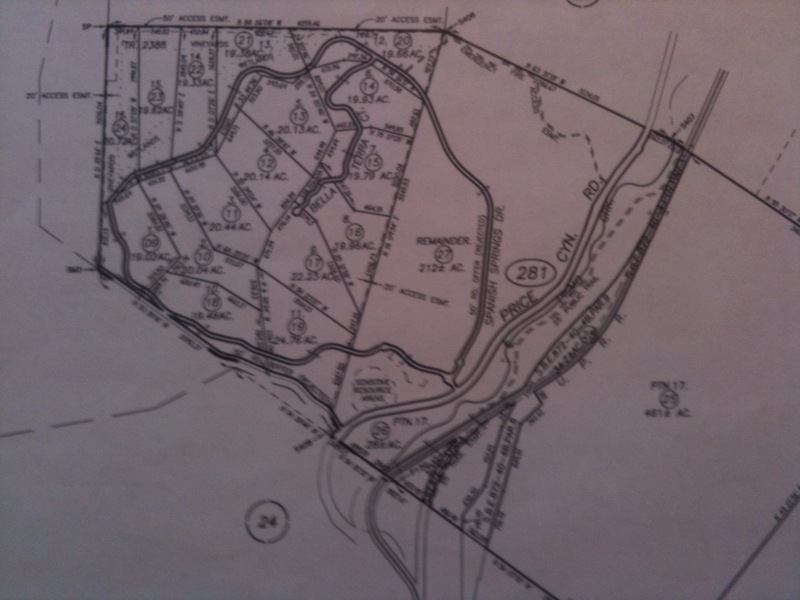 Just Below is the San Luis Obispo County Assessor’s map of that entire Spanish Springs tract. You can see the dashed line that represents the trail easement offered to the county between the creek and the Railroad… which goes under the railroad. This Easement exists now. But if our county doesn’t accept it… it will evaporate 25 years after it was offered… ie 25 years after 05-08-07 when this map was recorded. This trail is approx a mile long here. These lots on the left are for houses that are not built yet… but they are there… along with a little vineyard… a pond… and a gadzillion bunch of bricks in piles that were bought to pave the roads with… I think this was the biggest brick purchase in the nation that year. If you want to check out the CalTrans “LOSSAN north corridor strategic plan” (cough) here is the link to the document that describes the Railroad curve straightening. check out “SLO-3 on page 1-10! Connecting this path in either direction is the number one priority for the 2010 City of Pismo Beach Bike Master Plan and indeed they are already working to get this class one path under the 101 freeway and into town across entirely city or Caltrans owned infrastructure. 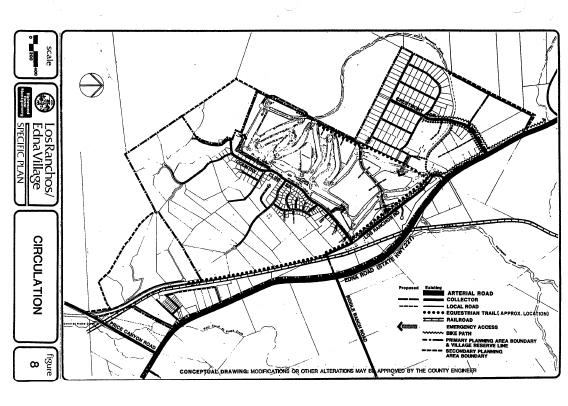 So… from these parcels that are for sale… which begin 3000 feet south of the San Luis Obispo Country club… it is entirely possible that we could develop an off highway route for a multi modal trail through to Pismo Beach. To the north there are two land owners of vacant agricultural farmland parcels next to the UPRR track. We would need to buy or be granted an approx 25′ wide easement across their land in this section next to the tracks… maybe narrower… I am not sure. But this easement should be separated by fences etc from the rr track and the ag land. I hate thinking about this part of the trail the most because rather than dealing with companies…. we are dealing with families. So it is a lot to consider and be respectful about. But perhaps they would be willing to sell an easement for a fair price. I would only want this to be a willing sale. Unfortunately… there really isn’t any other route that works nearly as well. North of this is a public street… a short cul de sac on the south end of Los Ranchos Road which has 6 houses on it up to Country Club Drive. At Country Club drive there is already a trail dedication made by the developers of the country club subdivision on the soutwest side of Los Ranchos Road. It is there but you have to look for it as it is old and unused. It is occasionally hard to see as the bushes have grown over it in many places. you can clearly see… just under the bikepath in this street section above… where it says” County Maintained”. 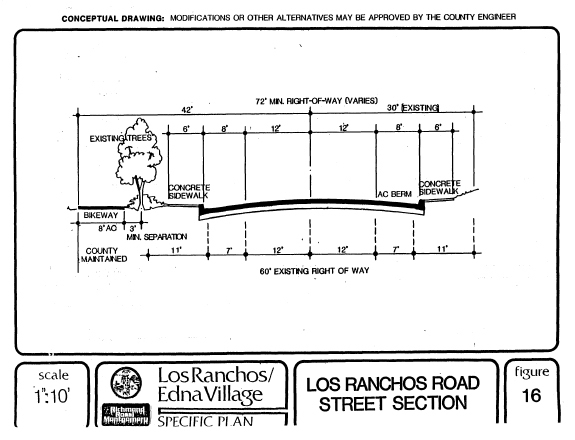 Los Ranchos Road is clearly defined throughout this document at being a COUNTY ROAD. Below is a picture of the corral de piedra itself taken from the Price Historical Park website. The Price House is located at the mouth of Price Canyon and will be on this trail. (thank you Effie McDermott!) Check out the history of John Price and his life and home at their site. This Los Ranchos Road Class I separated bike path continues up to Crestmont with one short section across one property that was never completed. From Crestmont… the Southwest shoulder of Broad street… aka highway 227… is very, very wide. it is entirely wide enough for a two way class I bike path all the way up the the airport and the light at Aero Drive. From Aero drive… you need to cross 227 at the light… and then there are two industrially zoned parcels we would need to cross and a bike bridge would be needed to cross the creek… but after that bridge there is “marigold neighborhood” Class one bike path infrastructure all the way up to tank farm… where we would need to add a light for pedestrians and bikes…and then the class one bike infrastructure continues all the way to Industrial way… where it turns into Class II on road bike lane up to orcutt road. At Orcutt Road the path goes back to Class I separated infrastructure and crosses orcutt at the Laurel Lane light. From here it connects to the San Luis Obispo Railroad Safety trail that continues all by itself up along the east side of the UPRR Railroad all the way to the Railroad Station downtown. From here there is already a plan to get across town to California BLVD. to just north of the 101 Freeway. From there… there already exists class I bike path all the way into Cal Poly. and get this… from Cal Poly to Morro Bay… there are only 2 private owners in the way. 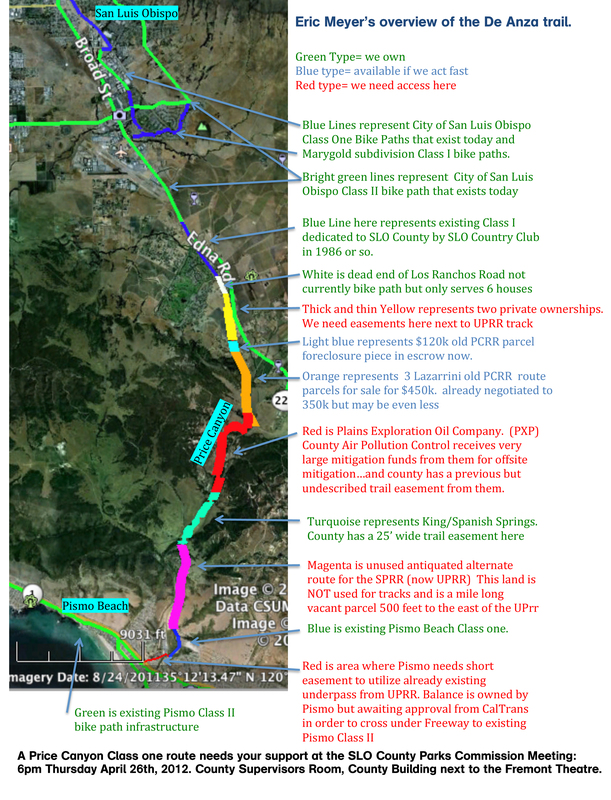 90% of that route is owned by the state… either Cal Poly, California Mens Colony (prison) California National Guard, Cuesta College, or the state of California itself, or the city of Morro Bay…. and much of it already has another old railroad right of way (meaning it is not too steep anywhere) all the way out to the National Guard’s “Camp San Luis”. 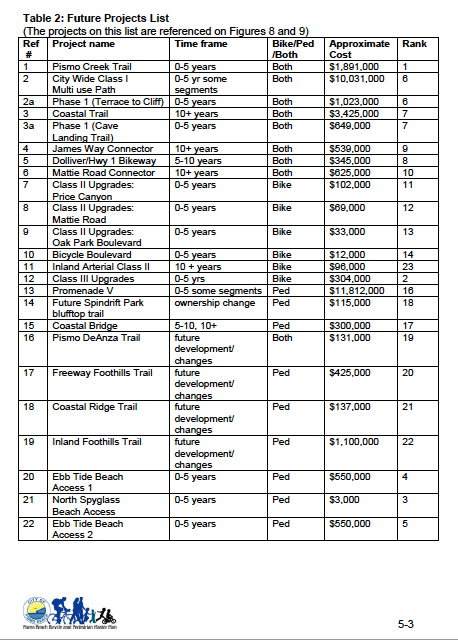 TO put it simply… there are only 11 private parties to deal with to build a bike path between Pismo and Morro bay. But lets just focus on the bit between downtown SLO and Pismo today. That bit only has 9 parties… and two of those are selling right now. that is more than 20% of the owners between Downtown San Luis Obispo and Pismo! Please try and come to this meeting… and bring a friend or ten… and all of you should plan to speak to the commissioners… a nice short speech… say 20 seconds or so… just asking the commissioners to recommend that the supervisors buy these parcels. Anyway… All together this approx $350K to $450k total purchase of all four parcels and both houses would buy out 20% of the private owners of land needed to create a bike path from downtown SLO to Pismo. In the larger scheme of things this seems pretty fair to me. Especially considering that the land for sale is over a mile long. I am interested in any other support that any of you can muster up… from any county or city agency or private foundation or club etc. CAN YOU HELP HERE? I will be using these letters together with all my data to make my case with the SLO County Parks Commission and after that with Board of Supervisors… and then after that with the board of the San Luis Obispo Council of Governments(SLOCOG). SLOCOG is the entity that allocates state and/or federal funds to the cities of this county and to the county itself. It’s board is made up of the county board of supervisors… as well as the mayors of each incorporated city. For this effort… I will need all the help I can get. At this point that means showing up at the County Parks Commission meeting at 6 pm on April 26th… at the county board of supervisors room in the county building next to the Fremont Theatre on Monterey street in San Luis Obispo. Later it will mean showing up at the Board of Supervisors meeting whenever that is. I welcome your comments and help…What do you think?